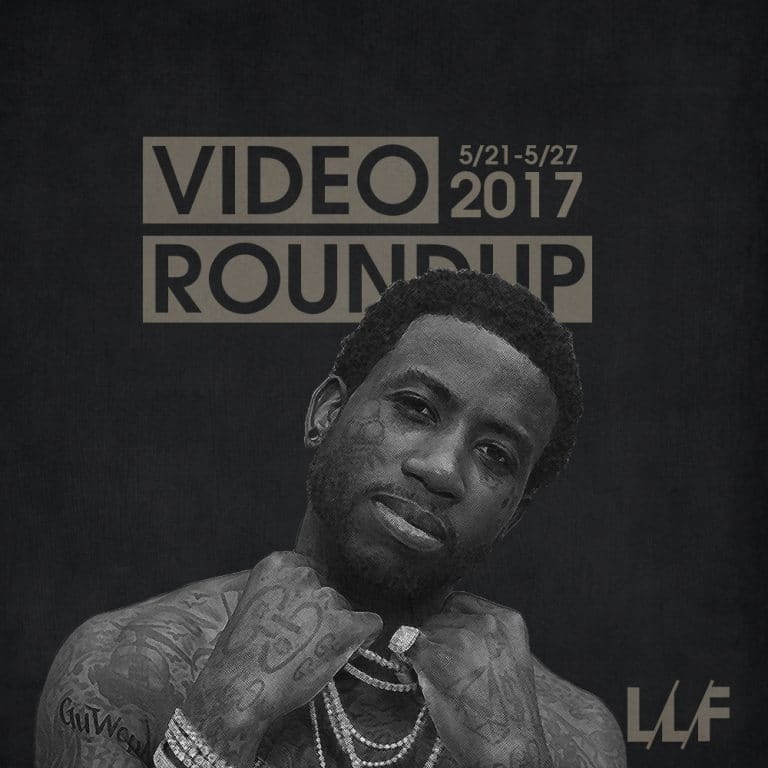 Closing out the month of May we got new videos from artists like Lana Del Rey, Elton John, John Legend, Gucci Mane, and much more. Check out everything I rounded up below, along with my reactions. Yes this is that classic Elton John “Tiny Dancer” song that’s weaved it’s way all throughout pop culture. The song came out some 45 years ago but it’s surprisingly never gotten an official video. That’s all changed now as this and two other classics made their video debuts at this year’s Cannes Festival. Much like the lyrics, the video is a moving tribute to the diverse cultural collage that is Los Angeles. Hold me closer tiny dancer! A.CHAL is back with another single and video for his upcoming ON GAZ project. I’m liking everything I’m hearing from that project so far as he builds on the incredible vibes of his first project. The video is a mashup between The Matrix and Tron that just works for the song. Apollo Brown & Skyzoo created one of my favorite pure hip-hop albums of last year with The Easy Truth. It was just classic beats and lyrical exercises from front to back. “On The Stretch & Bob Show” was unique in the way it emulated a golden era radio show and freestyle and the video for it does that exact same thing except that kids make up the whole affair. It’s a novel video for one of my favorite songs off the album. Gucci Mane never ceases to amaze me with the endless amount of music he manages to put out each year. Sure it’s mostly lower quality filler music but even then you’d think he would slow down at some point. But that is not the case and he’s back with another project, this time a joint album between him and Metro Boomin. There’s not much to say about this one, the video and song are pretty much what you’d expect from a Gucci Mane release. After announcing themselves to the world last year we haven’t heard much from the OVO signed duo. I’ve never been moved by them but they’re back and I’m ready see if they’re more than the hype. “Phases” is probably the most upbeat song I’ve heard from them yet and it’s a good start but I’m still not sold on their vocal ability. The video’s nothing special. When Lana Del Rey first burst onto the scene with Born to Die I was immediately taken aback by how unique her sound was. The lo-fi, melancholic sounds were unlike anything I’d heard before and I was a fan of it. In the five years since however, that style has been emulated and appropriated to the point of exhaustion. She’s now back with her first big single in a long time and while it’s still melancholic, it’s different enough from her previous work to feel fresh, and the pairing with The Weeknd was a great choice. The video is a hazy, lo-fi affair that captures the mood of the song well. Dua Lipa is a name you’ve probably been seeing all over the place these days. She’s poised to be the next big pop sensation to come out of England and she has the powerful voice to back that up. She’s getting ready to drop her major debut and this is the latest single from the project. It’s not earth shattering but it’s a solid single that’ll get people listening. The video is typical music video fare at this point. R&B mainstay John Legend released a very solid album in Darkness and Light and “Surefire” is the latest song from that project to get the visual treatment. It was one of my favorite songs off the album with it’s immediately satisfying production and not one to mince words with his political opinions, the video is a clear shot at this current administration. Love trumps hate.